The Boys & Girls Club of Santa Clarita Valley has partnered with EarthEcho International to host a series of virtual field trips aimed at inspiring girls to embark upon STEM (science, engineering, math and technology) careers and increase gender and racial diversity in those fields. Teen girls in Santa Clarita are welcome to participate in the STEMExplore program at either Boys & Girls Club location (24909 Newhall Ave. in Newhall and 19425 Stillmore St. in Canyon Country) as well. The next two sessions are Wednesday, Dec. 5 and Thursday, Dec. 6 at 3:30 p.m. Boys & Girls Club membership is not required to participate in either session. The local effort is part of new program to connect female professionals in STEM fields with girls across the United States launched by EarthEcho International, founded in 2000 by siblings Philippe and Alexandra Cousteau in honor of their father Philippe Cousteau Sr., son of the legendary explorer Jacques Yves Cousteau. The program seeks to diversify the STEM fields in terms of gender and racial representation. “Many of the young women we serve are interested in STEM careers but the reality is there’s a dearth of women – especially women of color – in these roles,” said Matthew Nelson, CEO of Boys & Girls Club of Santa Clarita Valley. Olivia Blondheim, a 22-year-old doctorate student in Integrative Biology at the University of South Florida, is a member of EarthEcho’s Youth Leadership Council and is working on the virtual field trip programs. Blondheim recently presented her research at a TEDx Talk and spoke alongside Philippe Cousteau at the International Symposium on the Effects of Climate Change on the World’s Oceans. In 2016, male students in K-12 were 81 percent more likely to be enrolled in an AP computer science class than females, according to the National Girls Collaborative Project. Once they graduate, women filled nearly half of all U.S. jobs in 2015, but held only a quarter of STEM jobs, according to Department of Commerce. EarthEcho has partnered with other organizations providing afterschool programs for youth, including Love a Sea Turtle in Greenville, NC; MeckEd in Charlotte, NC; YouthPower365 in Vail, CO; and YWCA Hartford Region in Hartford, CT.
EarthEcho is also organizing a STEM-focused video contest for the partner organizations with a scholarship prize of up to $2,500, provided by United Technologies, to encourage students to tell their stories in creative ways. EarthEcho has been hosting a series of virtual field trips — scheduled between Oct. 25 and Dec. 6 – to be streamed on stemexplore.org and EarthEcho’s YouTube channel. Participants interact live with the featured mentor and are encouraged to join the conversation using hashtag #STEMEXPLORE. To view the full schedule and register for the virtual field trips, visit the above link. Email janinef@scvbgc.org for more details. Our mission is to inspire young people worldwide to act now for a sustainable future. We were founded in 2000 by siblings Philippe and Alexandra Cousteau in honor of their father Philippe Cousteau Sr., son of the legendary explorer Jacques Yves Cousteau. Philippe Sr.’s belief in “a world where every single child can breathe fresh air, drink clean water, and walk on green grass under a blue sky” serves as our vision to this day. Our approach is simple: EarthEcho’s 21st-century tools and interactive resources equip youth to identify and solve environmental challenges starting in their own communities. EarthEcho’s STEMExplore program is made possible through the generous support of United Technologies. 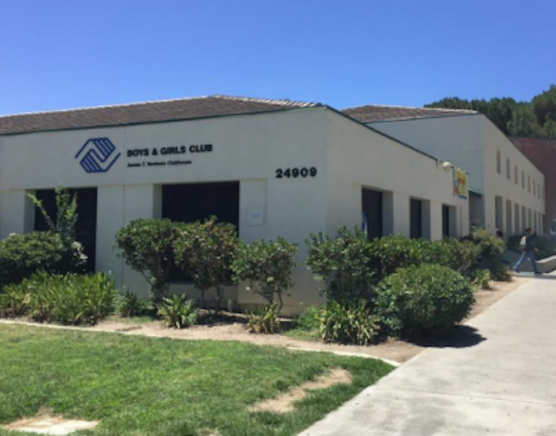 Founded in 1968, the Boys and Girls Club of Santa Clarita Valley supports academic success, provides a second home, and builds leaders for over 5,000 local youth. When school is out local kids receive homework help, a healthy snack, mentoring, and participate in youth sports. Caring adult staff and volunteers plan and lead fun activities and programs that help kids and teens grow and learn. We build great futures by teaching healthy lifestyles and providing career and leadership development opportunities. Annual membership is just $60 a year and open to all youth 7-17 years old. For more information on STEM Explore, visit http://www.stemexplore.org/ and follow us on social media. For more information about Boys & Girls Club of Santa Clarita Valley, visit http://www.scvbgc.org and follow us on social media.